Real Dutch Bakery is the freshest and best bakery of Bonaire. Opposite the neighborhood center in the North Salina district you will find this delicious bakery. The bakery is attached to the store and fresh bread is made every morning. From sunflower bread to sugar bread or fresh croissants. 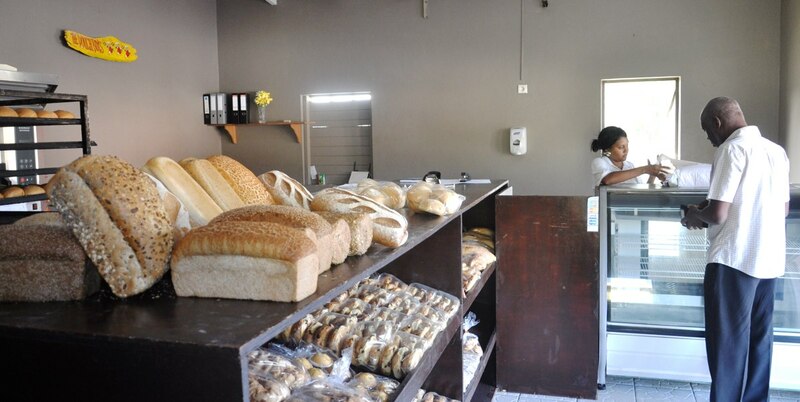 Are you a bread lover then you definitely want to find this store, fresh baked bread every day! Finally found time to visit with two days left on our trip and we were not disappointed! It was only a few minutes' drive from the condo we rented at the Sand Dollar, we bought a bag of croissants and some delicious apple popovers and spent less than $10. Both pastries were very fresh and tasty. Azucar and panini herb largo bread! Went at 8am Yesterday and The bread is fresh and amazing (I think you can get some of their basics at warehouse: white and wheat and maybe rolls-looked similar to the bakeries goods) but getting it straight from the source was the best. First visit went around 11am and were sold out of a lot of stuff We bought the sugar cinnamon aka pan azucar many reviewers are going on and on about and 4 piece bag of panini herb bread aka largo blanco cuatro 7$ total. The cinnamon bread was so good a loaf came back home with us in a backpack. If that isn't an endorsement, nothing is! Regular bread was very good, muffins were more like cake and there doesn't seem to be anything "Dutch" about this bakery, but look for those loves in the foil pans wit the sugar on top and you'll have a great breakfast treat! Yes, it’s the cinnamon bread!